STAR WARS: THE FORCE AWAKENS Soundtrack Review | Warped Factor - Words in the Key of Geek. 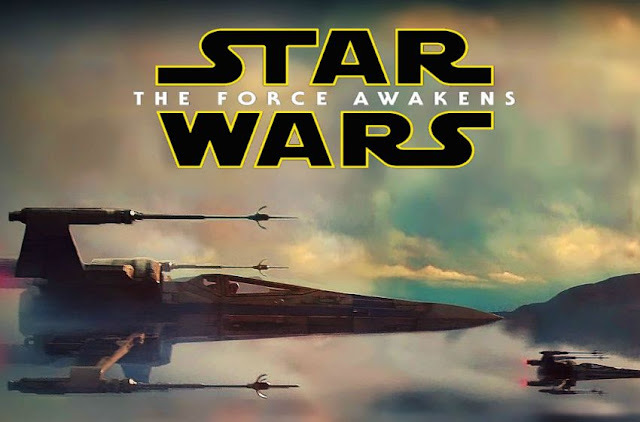 Andy Markham reviews the original motion picture soundtrack for Star Wars: The Force Awakens. If I could name one single moment that truly changed my life, there's a good chance that I would mention the moment I first heard John Williams' music for Star Wars. It was witnessing the music video for Duel of the Fates (remember that?) that encouraged me to see The Phantom Menace, and his music that guided me through the saga and captured my interest in film music as a whole. Here I am some 16 years later (eek!) with a music degree and halfway through writing a book about those six hallowed scores, and so it's safe to say that I have recently been just a tiny bit excited about the prospect of a seventh Star Wars soundtrack. And let's be very clear right from the off: it's brilliant. It is, however, not particularly what I was expecting and I'm sure this will go for a lot of Star Wars fans. Some of Williams' boldest and most memorable themes are arguably as iconic and famous as the saga itself, with the Imperial March and the main Star Wars theme amongst the most instantly recognisable and beloved pieces of film music ever written. Williams' gift for effective leitmotifs that linger long after the film has ended has always been his greatest skill as a composer. It's some surprise then, that this is not an approach he takes to Star Wars: The Force Awakens. It's an unusually reflective and thoughtful score that Williams produces, and one which takes time to ponder past, present and future. The immediate effect is that this highly tonal and atmospheric score appears to lack the big themes that anchor the Star Wars saga - but rest assured, this is not the case. At the heart of the score is the truly beautiful "Rey's Theme". This upbeat, emotive and incredibly catchy theme is littered throughout the film and captures Daisy Ridley's character perfectly. Full of hope, innocence and longing, the theme is one of the finest pieces that Williams has produced in years. It proudly stands alongside the highlights of any Star Wars film, which is truly the highest compliment I can offer. Rey's Theme is quite simply an instant classic. This isn't the only new theme introduced. "March of the Resistance" is exactly what it says on the tin - a bold, military-style theme which plays it straight and contrasts with the innocence of Rey's Theme, capturing the sense of a conflict that Rey is not quite ready for and is more mature than the world she has previously inhabited. And of course on that note, there's also a theme for Kylo Ren and the First Order, most notably heard in "Main Title and the Attack on the Jakku Village", and "Kylo Ren Arrives at the Battle". It's a theme full of harsh brass, menacing tones and uncompromising darkness - and without spoiling the film for those who haven't yet seen it, this is an interesting backdrop for the character, who is keen to present this image but turns out to be rather more complex. But as said, the themes are largely more subtle and more tonal than we have been used to with Star Wars, and it's only with two or three listens (or...ahem...10 or 20 by my count) that the richness and wonder of the score truly comes to life. Take for example, "Farewell and the Trip", the penultimate track which hits us with a tremendous cavalcade of the saga's themes all expertly linked together, in an alarming demonstration of just how much work Williams has put into this saga over the years. Similarly, it's always fun to spot the hidden, tiny themes that Williams chooses to embed beneath the surface - ten points for spotting Poe's Theme; it's there! Of course, what many Williams fans will be wondering more than anything else is to what extent the classic themes we know so well are used in the score. Well, you won't be disappointed there. Williams uses them expertly, developing them throughout the score alongside the new themes, going from essentially a blank slate to a marvellously rich canvas by the end of the film. The legendary Force Theme appears many times throughout the score, but notably never appears in its full presentation until the very end of the film, each time growing more developed. It's an ingenious trick that truly builds the excitement very gradually and persistently. Han and Leia's theme gets a large appearance here, with several brand new and interesting interpretations of it introduced to match the greatly changed relationship that the two share in the film. With all the old themes, just as it is in the film, there is an over-riding sense of time having passed, and a re-awakening in progress. But by the end, Williams is ready to hit the throttle with full force with the truly magnificent "The Jedi Steps and Finale". Opening with a magical, mysterious theme that matches the moment perfectly, the cue develops into a full-blown, majestic presentation of the Force Theme before smashing into the credits with a rip-roaring medley of highlights, from the familiar Rebels' Theme to Rey's Theme to Kylo's Theme to the March of the Resistance back to Rey's Theme to the Force Theme to the main Star Wars Theme (!). It's a soaring, awe-inspiring highlight that truly shows that Williams is still the master. And as if that wasn't enough, in true Star Wars style there are plenty of stand-alone treats. Chief amongst these is the highly emotional and intense "Torn Apart". Again, no spoilers here, but those who have seen the film will recognise the quote. It's a hugely dramatic and deeply poignant piece that really elevates the scene to something truly special. Similarly, "Follow Me" displays Williams' gift for frenetic action cues, with a highly catchy tune eventually flowing into the first, bold appearance of the Rebels' Theme as a key element of the film is introduced. It's a perfect example of musical storytelling, and a quintessential John Williams moment. It's not a flawless score, of course. Some tracks are admittedly rather throwaway, such as the rather generic "The Rathtars!" and the all-too-brief "Rey Meets BB-8". There's been a lot of talk of the seemingly major edits that J.J. Abrams made to the film several times during post-production, and one does get the feeling that the score ended up struggling to breathe under these conditions and could have been even more refined and engaging if Williams had all his working materials from the start. But nevertheless, every time I've listened to the score for Star Wars: The Force Awakens, I've loved it even more. It's a richly developed and deeply layered piece of work that certainly reflects a different side to the Star Wars musical world than we've previously been accustomed to, but one that is truly fascinating to explore. Very few films will ever hold a candle to Williams' game-changing scores for A New Hope and The Empire Strikes Back, and that has always been something of an unrealistic expectation. What we get instead is the start of a new chapter of Star Wars music, and one that promises much for the future. In that respect, it is the perfect reflection of Star Wars: The Force Awakens. Mission accomplished. For 16 years and counting, John Williams has been amazing me, and I'm delighted to say that he's done it again. Andy is a writer, musician, graduate, and super-geek. Ginger glasses-wearer. Star Wars obsessive and Doctor Who enthusiast. Specialises in film music and currently writing his first book on the subject. Follow Andy on Twitter.